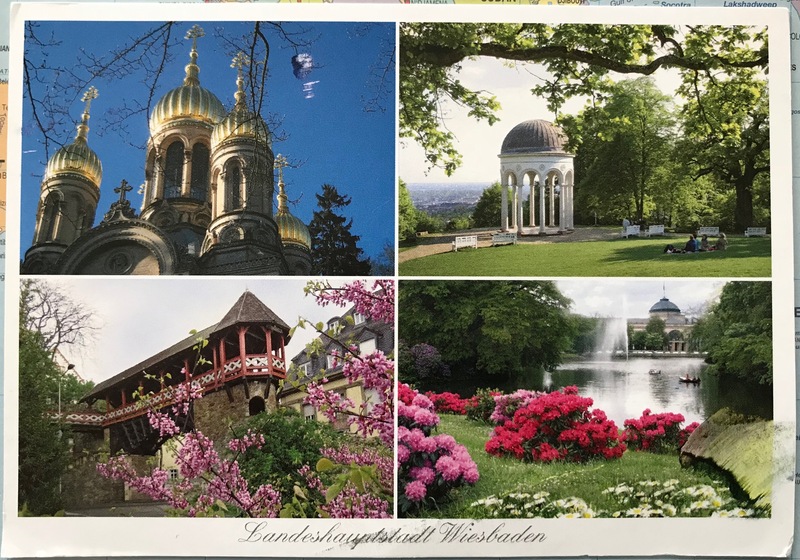 Sometimes Geography Cat’s job is made much easier by postcarders who write about their location, like this one from Wiesbaden in Germany, sent by Christine. Thank you Christine, Wiesbaden looks like a really interesting place. Wiesbaden is one of the oldest spa towns in Europe, first mentioned by Pliny the Elder in the first century CE. Once boosting 26 hot springs, there remain 14 which flow today. Read more about this beautiful historic city here.